OPPO has unveiled F9, the company’s latest mid-range smartphone in the F series. It boasts a 90.8% screen to body ratio, its 19.5:9 screen covering most of the front and featuring a small V-shaped notch. It has a 6.3-inch Full HD+ display with Waterdrop Screen. The Oppo F9 is powered by the Helio P60, which specializes in AI tasks. This extends to the camera, of course, with AI Beautification 2.1. The chipset is hooked up to 4GB of RAM (with a 6GB option) and 64GB storage. It runs ColorOS 5.2 based on Android 8.1 (Oreo) out of the box. It comes with dual rear camera (16MP rear camera with LED flash, + 2MP) and a 25MP front-facing camera. It has dedicated sim slot, fingerprint sensor and housed by a battery juice of 3500mAh capacity with VOOC flash charge support. 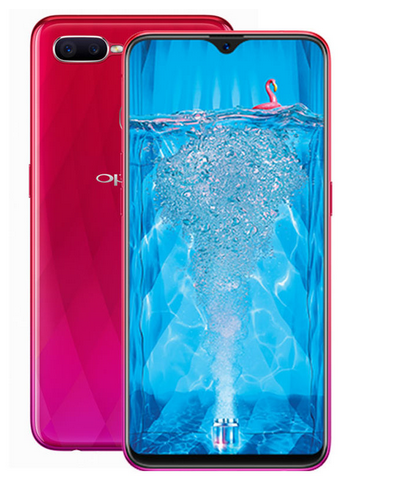 The back of the Oppo F9 has a gradient paint job with and is available in three colors: Sunrise Red, Twilight Blue and Starry Purple. The way OPPO releases dope devices now, I fear for Xiaomi. Very nice phone. with nice spec. where you fit get it online abroad?